There’s a little box, at the bottom of this page–usually to the right. You can dig back through the archives around here. And if you do, you’ll see that it’s been my tradition to sit down at the computer at some point on Christmas Day or thereabouts, and come up with an idea about the players we’ll see on the IronPigs in the coming year. It’s for fun, of course, and so much can happen on and off the field between now and the first weekend in April, when the rosters get announced. 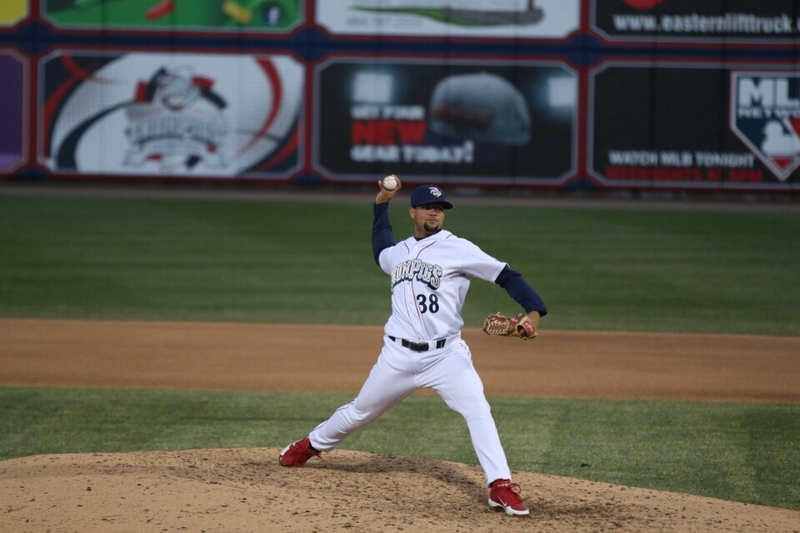 This year’s going to be a bit different, though, and I really think the players will be in place so that we can get some playoff baseball back to Coca Cola Park for the first time since 2011. OK, fine, and no disrespect to any of those players–because despite the losing, we had a lot of fun that season. But those players were mostly young at the time, and may or may not have been fully ready for AAA. New skipper Dave Brundage even told us as much prior to the first game being played–he said a slow start was a very real possibility as players would need to adjust to the level. And, as many of those players were able to move up to the Phillies that season, replacement players from Reading weren’t necessarily available to replace them. No, this year the team should be stocked with not only top Phillies prospects, but top MLB prospects. At this point, despite my reputation for off-season optimism, I think the team should be able to hit the ground running and never look back. The core of this 2016 squad will come up from a Reading team that went to the finals last season. What might be somewhat different, though, is the way the Phillies handle everything. First, they’ve got a new GM, and second, they’re in full-on rebuilding mode and won’t hesitate to shuffle the deck if they think it’s appropriate. The team that we start with in April might be totally different from the team we come down the stretch with in August. But that’s not really that much different–we’ve had tremendous roster flux the last couple years. What’s different is that the players who get added during the year will be additional talent promoted from Reading rather than reinforcements added from elsewhere. Plus, the organization has demonstrated that they’ll take their time with these prized prospects and that they’ll leave them alone during playoffs to try to build a winning atmosphere. Notes: The next group will have players to challenge here, but Morgan gets the nod for a spot based on his relative performance last season as well as his Lefty-status–but he has an option left and Oberholtzer could easily win this spot. I expect David Buchanan to try to challenge for a spot here as well. Discussion: Lively is the one to watch here. He’s had significant time at AA now and could be ready to move up–but he hasn’t forced it and there’s too much traffic ahead of him. 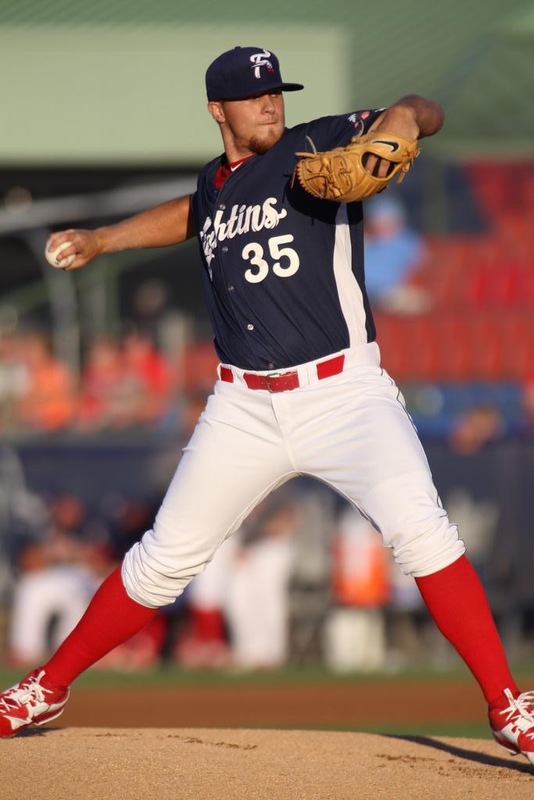 Mark Leiter, Jr. was injured at the end of last season, I believe, but could start for Reading again. Matt Imhof could be in Reading at some point if healthy. And, Nick Pivetta should be back here starting as well, if healthy. Some of the Clearwater guys listed above may need to wait if Pivetta and Leiter are healthy and ready to go. We should get some more clarity on that when the “working groups” are announced for Spring Training. Discussion: There might be others–coming back from injury or the like. And, some above may not be re-signed or may disappear as they get removed from the 40-man, etc. We’ll try for better guesses during Spring Training, at this position. Discussion: Things seem pretty clear, here. 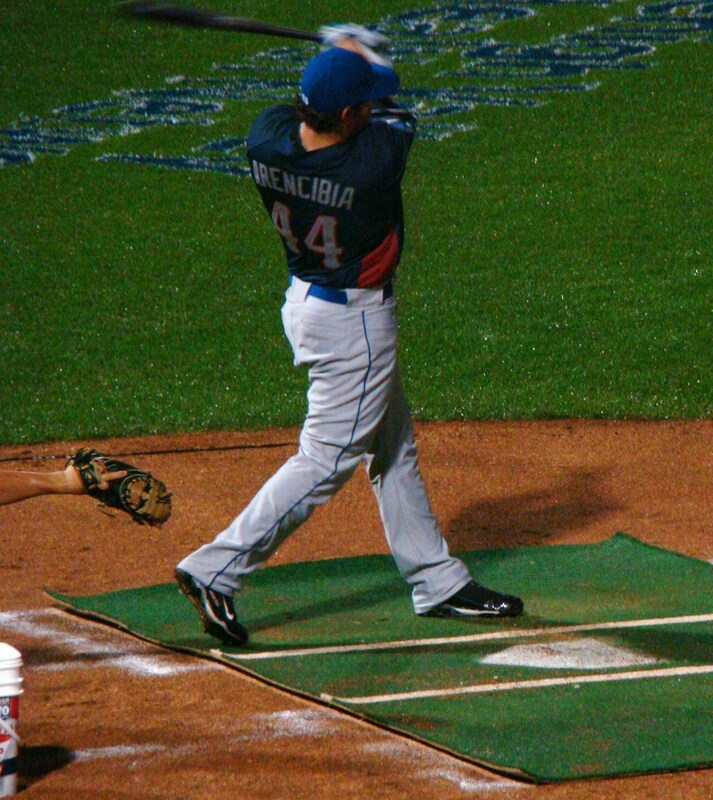 I’m not sure if Arencibia has an opt-out, but we could see him for a while at the beginning of the season. 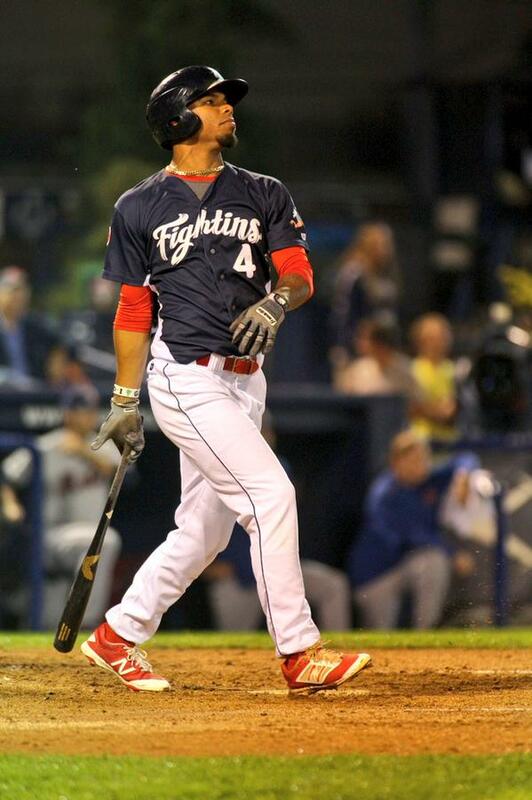 JP also played a fair amount of 1B for Durham last season, so he could fit in the IronPigs roster there, as well. We’ve also seen catchers get cut or traded in or out during Spring Training, so that’s a possibility as well. If JP ends up with the IronPigs then we’ll have two “JP”s! Discussion: Again, a pretty easy one. As I mentioned above, Arencibia could fit in here, too. One other possibility is that one of the prospect-catchers in Reading could see time at 1B in order to get them both in the lineup. 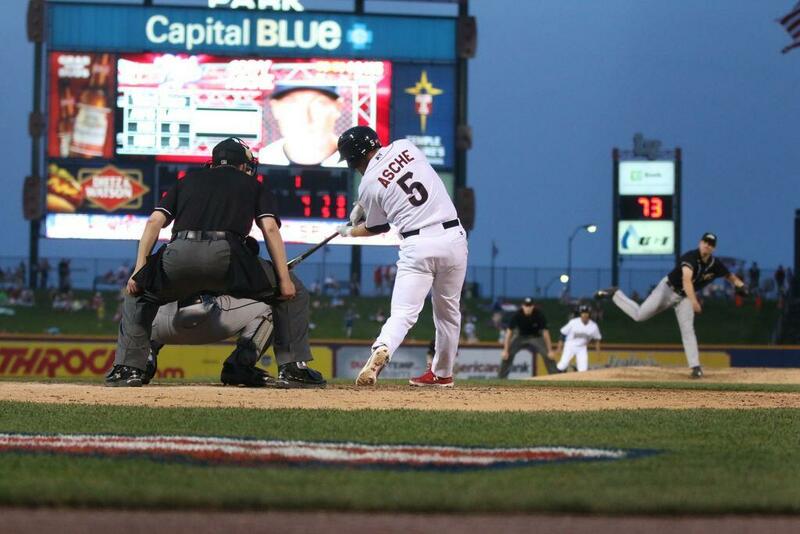 Although, if Knapp can play LF, then that may be more realistic in order to keep the prospect Hoskins in there, too. Discussion: It gets a little stickier here. It’s Cesar’s job to lose with the Phillies–at least to start the season. Blanco is the “super-sub” who can fill in here or at SS or 3B as needed–which is why his services were retained. Sweeney came over in the Chase Utley deal and was added to the MLB roster right away. He required a 40-man spot anyway or would have been ‘rule-5’ eligible. However, he hit a blistering .176 and it’s not clear whether the Phillies see him staying at 2B or moving to the outfield. He’s still listed at 2B, so we consider him here. I think he ends up starting in Allentown so that they can give him regular at-bats and see what they have. Next, you’ve got the non-roster guys. They’re all officially listed at 2B, so we’ll discuss here. Nina has had two years in AAA and hits .300–I think he’ll be an IronPig, but he played more games in the OF than he did at 2B last year in Albuquerque. He can play SS and 3B, too. Burriss is mostly a shortstop, who can also fill in at 2B and 3B and OF. Let’s call him JP Crawford’s back-up for now. Ryan Jackson is also primarily a shortstop–and with more MLB time than any others in his group, he’s most likely to have an opt-out. Perhaps he’s injury insurance for Blanco and Galvis but we’ll get to that in a minute. Scott Kingery is listed here because he’s the guy the prospect-watchers have their eye on, as a second-round pick a year ago. He’d need to double-jump to get to Reading in April, so I think either Valentin or Stankiewicz or both end up down 222 to start, with Kingery in Clearwater. I wouldn’t be surprised to see him move up, though. Kid can hit. I’m not sure the status of Serna or Mora, who both played well for Reading last season–perhaps shortstop? Alonso was unfortunately injured early-on last season. Discussion: It’s JP’s world and we’re all just living in it. I suppose they could put him on the Nola plan and start him in Reading–especially with the middle-infield depth we’ve got above. However, he’s such an advanced player both at the plate and in the field, I think they start him with the IronPigs with the idea that they’ll get him to Philly by the middle of the summer. I’m not sure if Canelo is ready for Reading or not–a guy like Serna or Mora might be able to hold that spot until Canelo comes up from Clearwater later in the season. Impression: The cupboard’s kind of bare here, huh? Perhaps I’m forgetting someone, but we know Blanco can back up Franco in Philly. Nina has played 29 games at the position over the past 2 years in the PCL. Jackson is not a 3B, and neither is Burriss. We could see another off-season addition at this position–or, could we see the return of Cody Asche? He’s listed with the outfield group on the 40-man, but he has options left if they want to play 3B every day or get OF time. Worth noting, though, that Martinez hit .292/.335/.400 over 86 games with Reading last season–better than most people thought. Walding only hit .233/.318/.331 in 120 games with Clearwater last season. Discussion: Early versions of the Giles trade had an outfielder coming back, who would have likely been with Reading. 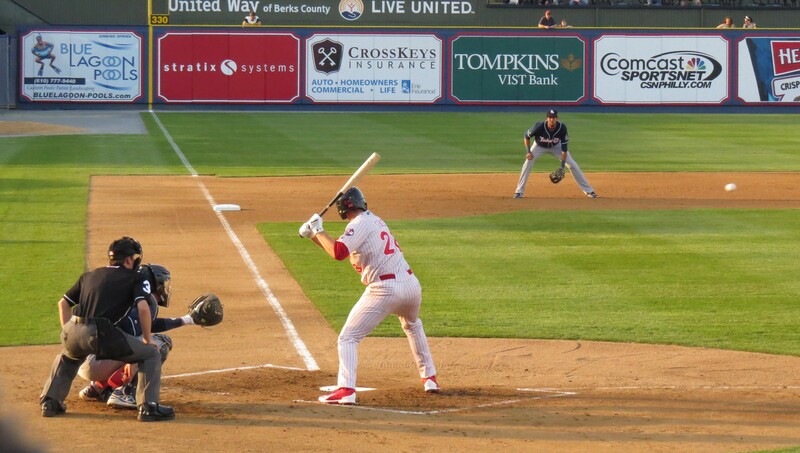 There’s not a ton of depth here, and with his available option I could really see Asche ending up back with the IronPigs playing in LF and backing up (in more ways than one..) Martinez at 3B. Goeddel has to stay with the Phillies under the Rule 5, and Altherr needs to play most every day. Quinn was injured last season, but assuming good health I have him in Allentown–although I could see them giving him 6-8 weeks in Reading to start the season. There are no non-roster invitees or 4-A guys here so far; I could see them at least bringing a guy or two in prior to Spring Training. The other possibility is that some of the 2B guys (esp Nina) are really utility guys who can sub in the outfield as needed. The new regime in Philadelphia has said “it starts with pitching” in their rebuilding efforts. From the depth above, you can really see that is where they’ve been concentrating. However, there are always injuries and other things which might impact player availability. 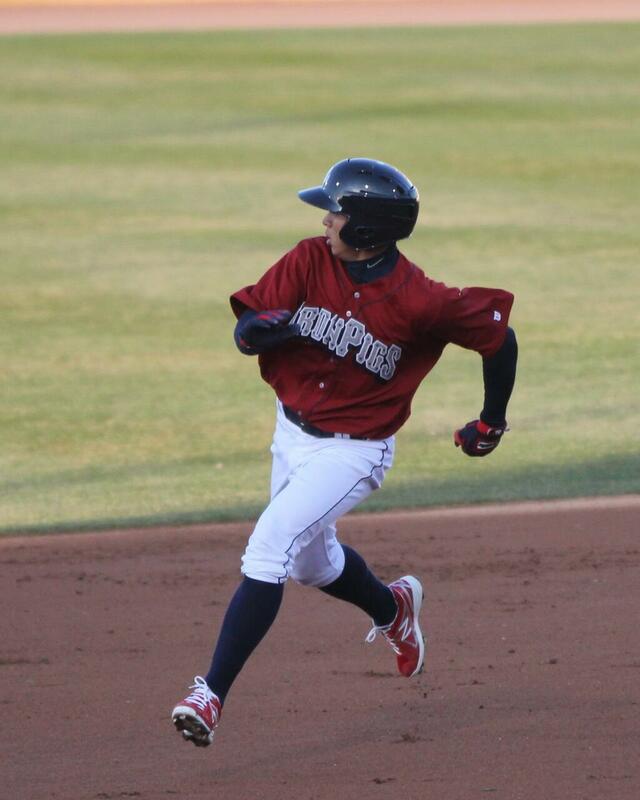 OF Jeremy Barfield, brother of former IronPig Josh Barfield, ended last season with Albuquerque–and is a great Twitter follow. OF Roger Bernadina was on that team, as well. OF Julio Borbon has been with Norfolk for two seasons. OF John Bowker is a name folks remember, if he’s stateside. OF Corey Brown hit 19 dingers for Durham last season. OF Tim Wheeler is a former 1st round pick who played with Albuquerque last season. Anyway, we’ll revisit this later, and perhaps there will be some additional names to work with. Should also have some info about changes in Reading, Phillies Winter Banquet, and then usually a preliminary promotion schedule for the IronPigs in the next couple months. See you at the park–before we even know it! 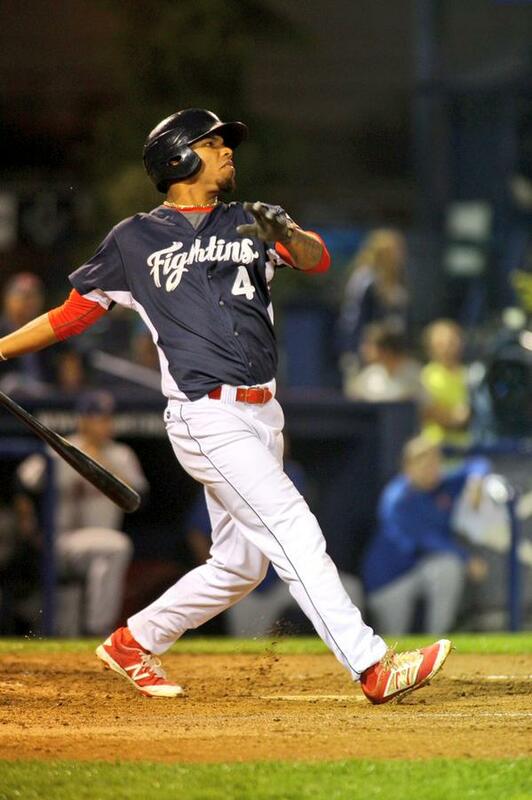 Cedric Hunter, 28yo, .283/.331/.420 in 138 G with Gwinnett last year. 12 HR, can play CF. Came up through the Padres system and had a cup of coffee with them in 2011. Since then, AAA with St Louis, Cleveland, and Gwinnett.